The 2018 Cape Cod Baseball League All-Star Game will be held Sunday at Whitehouse Field in Harwich. 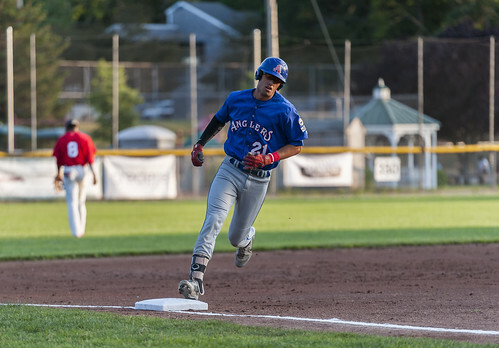 Six Chatham Anglers players were nominated to play in the game, while Chatham also has two players swinging for the fences in the Home Run Hitting Contest. The starter for the East Division in the All-Star Game is second-year Chatham player Dan Hammer (Pittsburgh). Hammer has been an ace for the Anglers this season. 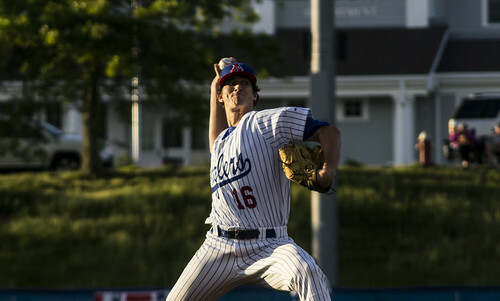 The right-hander has made six appearances (three starts) and possesses the second-lowest ERA (2.16) of any active Chatham player with 10 or more innings logged. In four of his six outings, Hammer has held the opponent scoreless for at least 3.2 innings of work. Despite his dominance on the mound, Hammer has not been blowing the ball by batters. His 20 strikeouts are tied-for-seventh on the Anglers. The rising junior has displayed impeccable command on the mound. The Philadelphia native has walked just five batters in 25 innings on the season, the fewest among Chatham pitchers with more than 18 innings pitched. Despite being selected to pitch in the All-Star Game, Tory Miller (Michigan) will not be attending. Miller left Sunday morning and will be signing a professional contract with the Toronto Blue Jays in the coming days. During his time with Chatham, Miller was arguably the team’s best and most consistent bullpen arm. In nine appearances, Miller threw over an inning eight times. The one exception was a fog-shortened game against Hyannis on June 21. He finished with a 1.14 ERA, 0.76 WHIP, 29 strikeouts and an opponents batting average of .114 in 23.2 innings. Miller saved his best appearance for last. 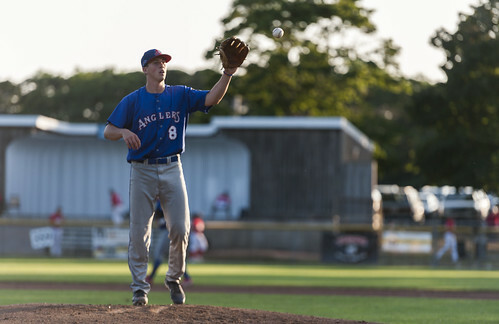 Against Cotuit on Friday, Miller came into the game in the fourth inning with the A’s down 9-3. He held the Kettleers — who scored nine runs in the first three innings of the game — hitless over three frames with five strikeouts. When Miller was relieved in the seventh, Chatham had brought the game within one run. Even though he will not be at Whitehouse Field, the selection meant a great deal to Miller. All season, Holliday has been in search for a second closer to use when Greg Veliz (Miami) isn’t available. It has been a tall task for the first-year Chatham manager to find someone who fills the role as well as the right-hander. Veliz’s consistency over his team-leading 12 appearances has been superb. 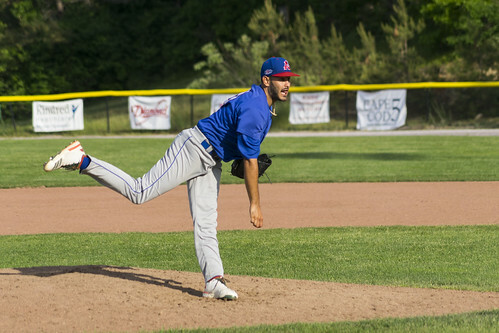 Despite pitching just 16.2 innings, Veliz has struck out 27 batters, giving him the highest strikeouts per nine innings (14.58) on the Anglers. Despite allowing a hit in nine of 12 outings, Veliz has held the damage to a minimum. The Florida native has not allowed runs in consecutive appearances and has surrendered just five earned runs on the summer. 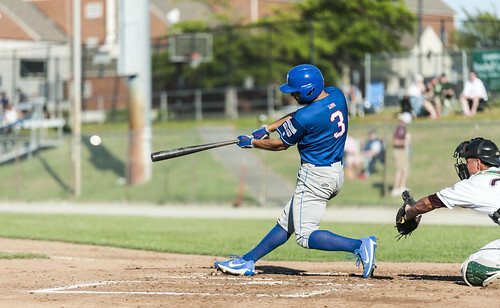 After his worst outing of the season on July 18 in a 12-5 loss to the Hyannis Harbor Hawks, Veliz rebounded by shutting the door in a vital eighth inning in Chatham’s 10-9 comeback win over the Cotuit Kettleers two days later. “It’s definitely an honor to be an All-Star and for the coaches to think about me and select me for it in this great league,” Veliz said. While several of Chatham’s top hitters have gone into slumps at one point this season, John Rave (Illinois State) has been a thorn in the sides of Anglers’ opponents all summer long. Primarily batting leadoff or in the two-hole, Rave has not gone more than two games without a hit all season and leads the team in multi-hit games (eight). From contact to power to speed, Rave has done it all this summer. The Illinois native is one of seven players in the Cape League — along with teammate Spencer Torkelson (Arizona State) — to smack at least six doubles and four home runs. On the basepaths, Rave has four swiped bags. But Rave’s presence at the plate goes beyond his .300 batting average. 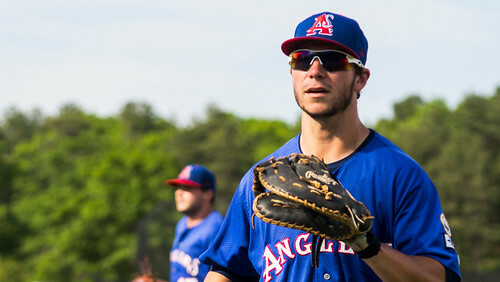 The left-handed hitter boasts a .397 on-base percentage, the fourth-highest clip among active Chatham players, and has drawn 12 walks and been hit by four pitches. Rave said it is “an honor” to be selected to play in the All-Star Game. When Spencer Torkelson (Arizona State) left to play for Team USA on June 25, there were questions about what Chatham would do to replace his production. Tristin English (Georgia Tech) — the starting designated hitter in the All-Star Game — provided the firepower to help get Chatham over the hump. In the week after Torkelson left, English was 8-for-23 with eight RBIs, six runs scored, three doubles and four home runs. The exclamation point of the week was a go-ahead grand slam in the sixth inning of an eventual 13-6 win over the Harwich Mariners on July 3. A week ago, English said the dinger was his favorite memory while playing for Chatham. While the Yellow Jacket has cooled off over the last ten days, he is still contributing and played a major role in Saturday’s win over the Yarmouth-Dennis Red Sox. With two runners on base in the bottom of the fourth, English poked a Sam Kessler (West Virginia) pitch down the left-field line that stayed inches fair for a three-run homer. Blake Sabol (Southern California) — the Week 5 Player of the Week and starting catcher for the East in the All-Star Game — has been one of the best hitters in the league in July. After hitting three home runs and having an OPS of .921 during the month of June, Sabol has heated up as the weather has gotten warmer in Chatham. Sabol’s importance to Chatham stretches beyond his hitting. The California native’s defensive versatility has helped Anglers manager Tom Holliday rotate players in and out of the lineup. Sabol has started games at catcher, first base, third base, left field, center field, right field and designated hitter. Sabol — who played with Wareham last summer — said he was hoping to get the chance to showcase his skills in Harwich. Chatham has two players participating in the Home Run Hitting Contest — Sabol and Torkelson. The two Chatham players are second and third in the league in home runs behind Nick Osborne (Tennessee Tech) of the Orleans Firebirds. Osborne was supposed to be competing in the derby but left the Cape on Sunday to sign a professional contract with the Oakland Athletics. Carter Aldrete (Arizona State) — Osborne’s former teammate in Orleans — will replace him in the contest. Hyannis’ Matthew Barefoot (Campbell) and Todd Lott (Louisiana-Lafayette) and Bourne’s Spencer Brickhouse (East Carolina) are the three competitors from the West Division. Langworthy and Lott both have five homers on the season, while Barefoot has three round-trippers. Torkelson — the NCAA Division I leader in home runs in the spring — is the favorite coming into the contest, with many of his teammates predicting a victory for the Arizona State product. Even his manager is a believer in him. “I wouldn’t bet on anybody but Torkelson,” Holliday said.